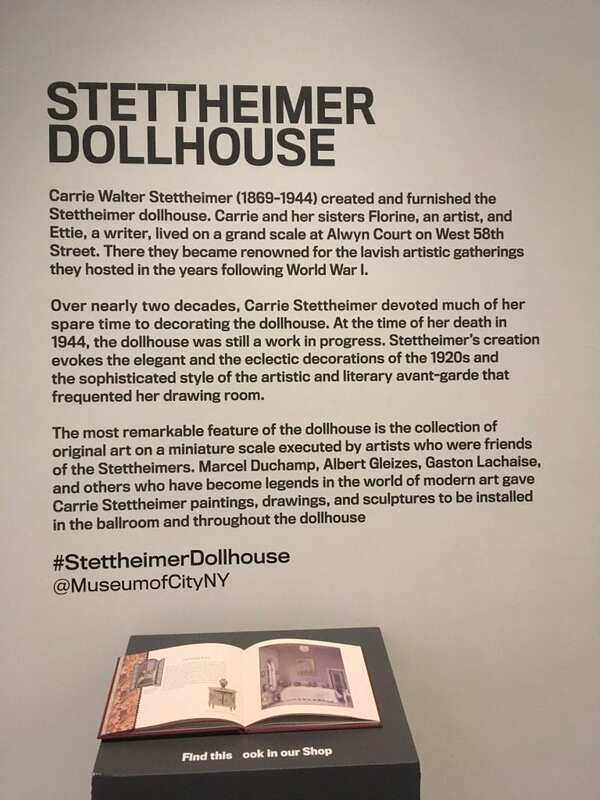 BUILDING CONTEXT: Choose one of the exhibits and read any information that the museum provides online or in pamphlet form. Choose one exhibit to visit for this DAI. Which did you choose? DESCRIBE the exhibition using noticing skills. Ivory is the predominant color. A lot of curves exist on the objects. There is a spectrum of various brown tones, from bright brown to darker brown. What relationships do you notice among the elements? All objects are closely located from one another. They have close proximity to one another as well as to the walls. What connections do you make between the piece you experienced and anything else you are thinking about, learning about, sensing about? From the intricacy of the carved decorations on the furniture, I see elegance as well as extravagance. It made me assume that this salon is supposed to be designed after fancy, high-class people’s houses or salons. What are the objects in the room? Most of the objects in the room are furniture, including chairs, tea table, mirror, candles, dresser, and couches. 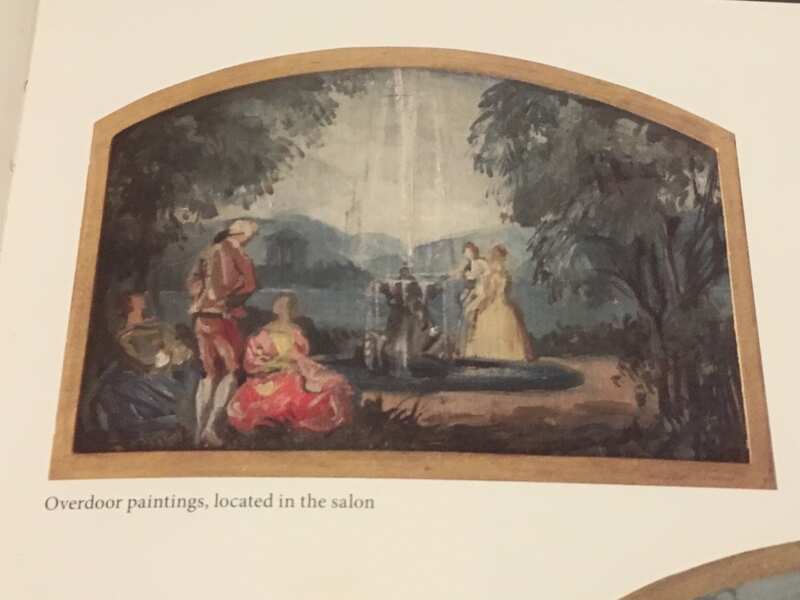 There are also paintings and candles, suggesting the fanciness of the salon. What are the relationships between the designs and functions of those objects? The curvy, intricately carved designs of the furniture create soft, warm atmosphere in the room despite their multitude. Although the room is packed due to the various objects, it feels cozy and full rather than crowded. 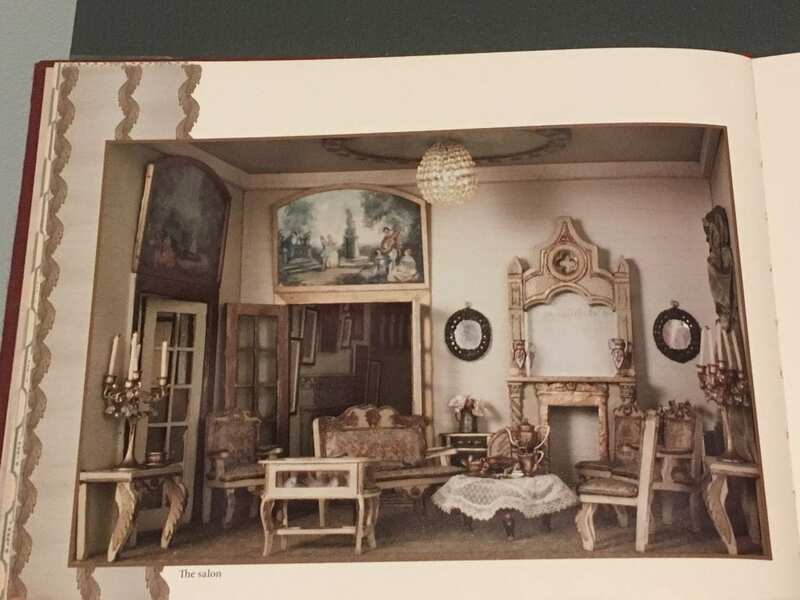 If the furniture were rectangular or dark-colored, the room might have looked too packed and disorderly. What is the predominant design element in the room? The predominant design element seems to be consistency. All the objects in the room harmonize with one another through their shared design elements that are ivory color, curves, circularity, and small sizes. None of the objects are too big or too sharp-angled to interfere with the warm harmony created by the shared elements. Therefore, the most dominant design element would be consistency of the specific design elements discussed above. INTERPRET: You must have five different questions – and then answer them. What do you think is going on in this exhibition? A simple, candid exhibition of an exceptional piece takes up a small space at the end of a hallway in the museum. This big, single piece just stands tall by itself with a short description and a book by the wall. The piece presents itself with charismatic strength that includes both detailed intricacy and multi-stairs magnitude. 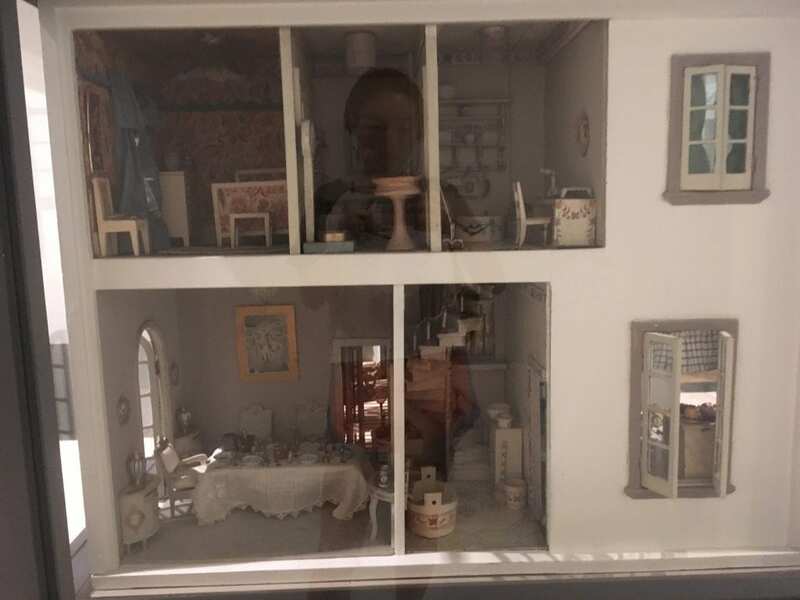 It is about a three store miniature dollhouse that contains various rooms of different purposes. What ideas was the curator trying to convey in this exhibit? I believe the curator intended to present the piece as honestly as possible, the way it is. The minimal presentation of the piece emphasizes the beauty and strength which the piece already contains. 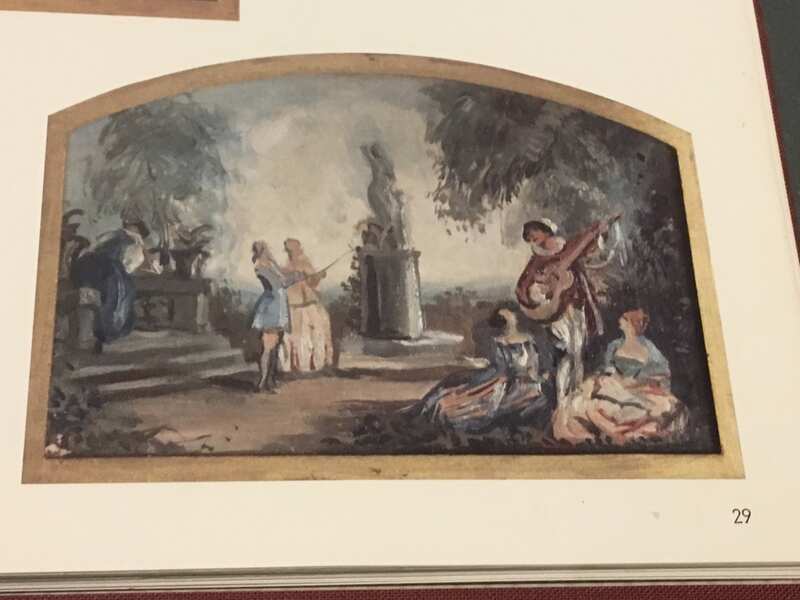 The curator seems to have wanted to focus on the artistry of the piece, suggesting the great power of craftsmanship it can invoke among the audience. When I saw the piece for the first time, it meant the appreciation of an excellent craftsmanship. As I recall my memory and re-appreciate the piece, it means the surprising depth a single piece can contain. Does the exhibit evoke any emotions? This piece evokes awe for artistry, and also nostalgia for a time period in which I never lived but learned about. I feel nostalgic for the past which I didn’t get to experience myself but certainly existed and created a set of designs and standards for beauty.